South Korea - Status : unknown. Formed in Seoul in 2003, as a self-described 'Art Rock' band, Ophelia mix a number of different Prog, Doom, Gothic, acoustic and symphonic elements to create a sound somewhere between Estatic Fear and mid-period Theatre Of Tragedy. 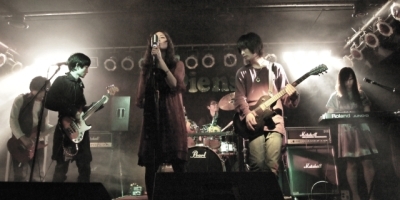 Following difficulties promoting their solitary 2010 album, after the releasing label went bankrupt, Ophelia was put on indefinite hiatus in 2015.